In most cases, you need to modify your Zazzle products on an ongoing basis to keep them in the Marketplace. This is a two-edged sword. Eventually, products which are not being tended to will fall out from the Marketplace, making it easier for buyers to find your product. The mysterious Z score. Zazzle analyzes each store for success and more promotes the higher-ranking stores. The manufacturer keeps the algorithms behind this score a secret for obvious reasons: it doesn’t want people to “game” the system. Zazzlers have speculated that the score is fluid and is based on sales, and a number of other factors. To a beginner, this seems like a ”chicken and egg” situation: how can you get the sales if Zazzle's not making it easy for their site visitors to find your products? Remember that Zazzle is also a business, not a charity: it’s in their best interest to promote the products that will make them money. Maintaining and raising a Z score takes time, effort, and sales. There are plenty of REALLY good products on Zazzle which may undersell (or may never sell). This can be for a variety of reasons. For instance, your titles, descriptions, and keywords could use some help. Also, buyer needs change over time. For instance, some Zazzlers are wondering why their sales of mousepads are declining, while not considering the impact of mobile technology. You’ll need to decide whether to edit your store or be the store that sells outdated products you can’t find anywhere else. Monitoring the performance of your Zazzle store and products is an ongoing process if you want to build your business. Styles change over time and your great designs WILL look dated at some point. You made a fabulous trendy design last year that now looks so, well, “last year.” (Turquoise and white chevron, anyone?) One advantage of Zazzle and other print-on-demand vendors is that products can be manufactured as soon as they’re designed. This allows you as a storeowner to stay ahead of the bricks-and-mortar businesses. To stay on top of trends, you’ll need to know what’s trending and freshen up your products. Again, this takes time and effort. Just because you like a particular design doesn't mean it's going to sell well. You may decide to have a niche store dedicated to Tuvan throat chanting. . That’s all well and good, but get upset because your obscure interest doesn’t become a national pastime just because you uploaded a few Zazzle products about it. Your great design is competing with millions of other great designs. 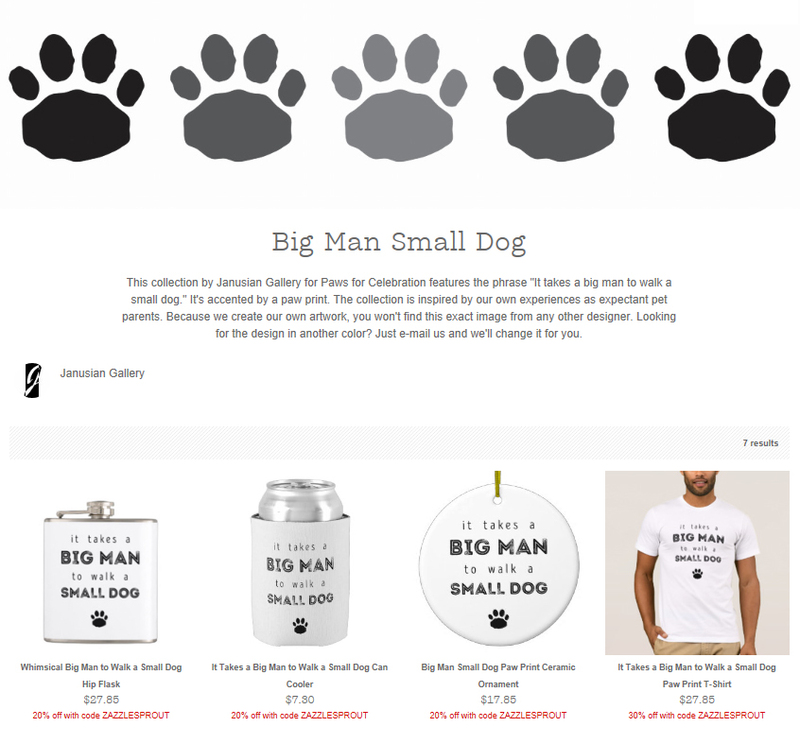 Don’t underestimate how large Zazzle is and how many products are being added daily. Don’t rest upon your past labors. Prospects may remember your one inferior product more than they will your 10 other great ones. Be realistic about the quality of your work, use the delete button liberally and strive to constantly improve they quality of your products and store. There’s a lot of psychology behind the art of marketing that involves placing and pricing products you don’t expect to sell well next to other products, to make those other products look better in comparison. You’ve probably experienced it yourself at the movie theatre when the large “trough” of popcorn is only 75 cents more than the over-priced medium popcorn. Your mind perceives the larger popcorn as the better value and you want it, even though you know you may only eat a third of it. Can you adopt this strategy with your store? Bricks-and-mortar stores also have ”loss leaders”, products that sell below average selling price (or occasionally even below wholesale price) for the sole purpose of getting people into the store to buy other products with much higher profit margins. Are there some products you can sell at rock-bottom royalty percentage to get customers to view your other products? • Then there’s the “harsh reality” test: would YOU buy your product? Is it useful and attractive? Is it priced right, considering its uniqueness and desirability? Buyers want to buy quality. Make them feel like selecting something form your store is a special experience. Part of that is presenting yourself in a professional manner. You have/are a brand, just like a bricks-and-mortar business. “Real” businesses spend plenty of effort thinking about who they are and what they’re about. They spend even more time and energy creating an image that reflects that. Schedule time each month (or each week if you can) to develop an online presence that differentiates yourself from others and makes people want to buy from you over and over again. 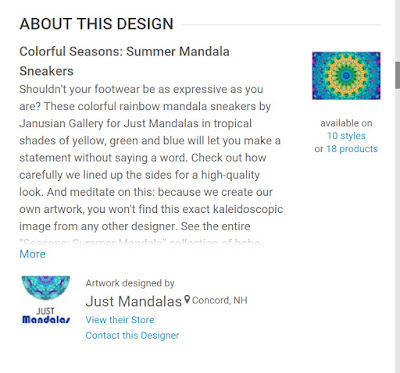 We use our store name and brand in our product descriptions. Click here to see the product. Design a logo and use it on your products (like greeting card backs) where appropriate. Use your brand / store name in your product listings, descriptions and keywords. Once people know who you are, they’ll start looking for you by name on Zazzle. Make it easy for them to do so. 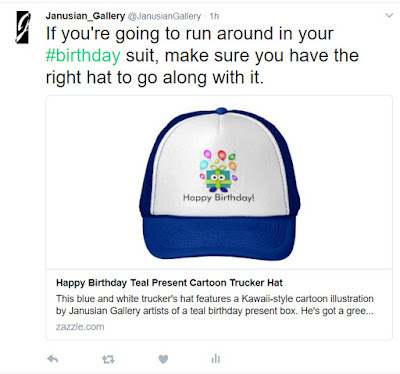 For instance, we try to always use our company “Janusian Gallery” as a power tag across all nine of our stores. 4. Learn the basics of Intellectual Property law. 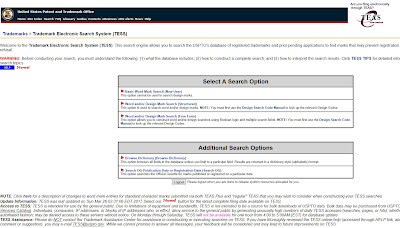 Your new best friend is TESS, a database run by the United States Patent and Trademark Office (USPTO). There are legal consequences of IP violations, even if a violation is accidental / inadvertent. Like that saying goes, ignorance of the law is no excuse. TESS can help you determine whether you're infringing on someone else's intellectual property. Also, respect other people’s designs and brands. Don't infringe on some one else's preexisting business. (For example, you can't be Coke on Zazzle.) Love another Zazzler’s designs? Become their affiliate: don’t steal their word s and pictures. 5. Understand and respect how Zazzle treats reports of infringement. They will hide/delete your products even if they only mention someone else's protected IP (like a car manufacturer name) in your product description. They’ll also send you a “form letter” e-mail telling you about the alleged violation. However, Zazzle won’t tell you WHY there’s a problem, unless you e-mail them back within a specified timeframe asking them for details. If you do respond, courtesy counts. Your response will likely be answered by a real-life human being. However, the answer (some variation of a form letter) they provide may not be complete or comprehensible. Usually, by the time you get the answer you’re seeking, the product has already been removed. The best way to protect yourself against having the products you worked so hard on removed with little warning is to first check TESS. If you think you’re OK, post just one product with the new design. Wait a while and if you hear nothing back within a few weeks or month, start posting more products with the design. Of course, if the artwork is 100% your own (like a generic seascape watercolor you painted yourself onsite or a photo of your own dog), you may not have to take these measure. 6. You can't count on Zazzle to make sales for you if you want to build your business: you also need to promote yourself. For many Zazzlers, promoting their products isn't as much fun as designing them. If this is true for you, consider a division of labor: have a friend or family member promote the products while you create more. Also consider actively recruiting affiliates: Zazzle provides referral fees to third-parties who refer buyers to your products. One of our recent Twitter posts. Effectively promoting your designs via social media is both easier and harder than most people think. Because we are familiar with using Facebook and Twitter on a personal basis, we think we can easily translate that knowledge to promoting our products online. However, the people to whom you’re linked personally may not want to receive your product postings. You should create a separate Facebook page and Twitter account exclusively for your Zazzle stores. It will take time to build audiences for those new pages, although some of your Facebook friends and Twitter followers will be more than happy to help you out. The best new followers are those who did so organically: they ran across your content somewhere, found it valuable, and intentionally elected to follow you. To keep your followers, you’ll need to posts with “some regularity.” What that means for you is something that only yo an decide. It depends on your offerings, your audiences, the degree of success you seek, and the time and effort you can devote to posting. You may have hear a lot about the “rule of thirds” when it comes to posting content. (1/3 product/company postings, 1/3 sharing other people’s ideas, with your personal comment, and 1/3 personal interactions and engagements.) We think calling it a “rule” is a bit harsh these days, especially as social media has matured. Following the rule to a T will help you gain and retain people who like the Rule of Thirds. We’ve found that bending the rule for tiered marketing like Zazzle can be effective. For instance, posting more product posts may attract more affiliates and third-parties, who care more about forwarding your posts to THEIR customers than in engaging and interacting with you. 7. You'll be working for pennies an hour --if that -- for quite a while. It’s very tempting for those who want to work from home (or need to work from home because of an illness or disability) to be lured in by the unlikely prospect of earning a six-figure income on Zazzle. The harsh reality is that many Zazzlers never make significant income by selling their products and designs online. We’re not saying that you won’t be Zazzle’s next Diamond seller: we’re just pointing out that the odds are stacked against it. Most people will need to consider the first months/ year as an education process. And please don’t quit your day job! You’ll need the steady income to support your family while you build your Zazzle business. We not only have full-time jobs in addition to our Zazzle stores, we also work with other print-on-demand vendors and operate a social media marketing consulting business. We work 80-90 hours combined at our two full time jobs, plus another 40-60 hours a week on our online businesses. We don’t expect to be able to quit one or more full-time jobs for at least a few more years, if even then. 8. Some people are making more money online by selling advice on how to make money on Zazzle more than by selling their own Zazzle products. You know who they are. They’ve been on Zazzle for years and have made them a lot of money. They enjoyed the early entrant’s advantage -- that doesn’t exist anymore – where even inferior products had a fair chance to succeed. They repackage basic information you can find for free elsewhere online into “exclusive” webinars and books. We totally get that success leaves clues. Also, if you don’t have the time, energy, or inclination to find and filter this information yourself, they can be a useful tool. But understand the limitations of the advice they can offer and be realistic about the results you can expect after taking in all their knowledge. Odds are, you will not have a full-time income simply by applying the information they offer. On the other hand, we're still relatively new. We’re seeing an increase in sales each month via free self-promotion and leads from the Zazzle Marketplace. We want Zazzle to be the premier site offering high-quality products at fair prices, so it’s worth our while to elevate our own products and help others to do the same. We'd rather give away our advice from articles like this, in the hopes that you’ll check out our stores and help us sell our products by sharing the ones you like. We won't insult you by insisting on getting your e-mail address before you can see our content. And we hope that if you like our approach, then maybe you’ll consider us for some social media consulting. 9. Study your statistics, understand buying cycles, and respond accordingly. 10. New Zazzle stores and products can succeed, even when the rules of the game have changed. Remember, it's not just a numbers game. It’s not about having the most products. It’s about having the right, quality products. Resist the urge to spend your royalties on your own products. Invest instead in a new computer, some updated software, and/or business training. Be humble and receptive to ideas from more experienced Zazzlers. They may not understand what it’s like to start a Zazzle business now, but they had to do something right to keep succeeding at it. Look at your site with the eyes of a buyer or affiliate and respond accordingly. Are your stores and collections attractive? Did you take the time to write an engaging intro paragraph and product descriptions? Are you making it easy to find products? Are you making it easy for people to return to your store? Take the time to include a brief description of your store or collection and why it's unique and important to you. The "Big Man Small Dog" collection can be found here. It’s possible to make money – a LOT of money -- with Zazzle. In the vast majority of cases, it won’t come fast and it won’t be easy. For most, the “golden window of opportunity” Closed years ago. But that doesn’t mean that you can’t still be very successful today, with the right combination of talent, effort, and luck. You already have a competitive advantage by reading articles like this one and determining how practical they may be for you. Please leave us a comment below to tell us what you think and let us know what you’d like us to write about next. We Missed You. Did You Miss Us?